We love Austin, the heartbeat of Texas, as much as you do! The rock shows, parties and BBQ make the city a one-stop shop for fun and endless adventure. The city is also home to many businesses, large companies and lots of young families who are homeowners who intend to do right by their kids. If you’re one of such families, we’ve got great news for you! You can do right by your kids financially and environmentally by simply going solar. It’s a great opportunity to save some money and save the planet with just one decision. In fact, you can save $200 – $1000 this year by simply going solar. And the best part of the deal? You can go solar for $0 down! As you can observe on the chart above, paying some money up front to get a Photovoltaic (PV) solar panel installed on your rooftop or anywhere in your house makes you the most money over the long term. See the green bars on the chart? They’ll start rising quickly after 2024, when your solar system has paid back your initial investment and your profits will start piling up. Nowadays, you can get a non-collateral loan for solar. If you can get one with around 6.5% interest and a 20 year term, it is a good deal. And if you can find one that is lower, it is also a good deal. Here is how we will play smart if we are a homeowner in Austin. Here is where it really gets interesting: by the end of the first year, we will ensure all the money from our federal solar tax credit ($4,350) goes into the loan, which would cut our payback period by 8 years and 7 months. See the orange bars in the chart above? This is exactly what they represent. So, with the reduced and eventual low interest on our loan, our payment would be just a little bit higher than our energy bill savings, at least for the first few years. But then our profits will start piling up and that would continue for the next 20 years leaving us with thousands in profits. But what if you don’t intend to stay in your home for the next decade and half or more? 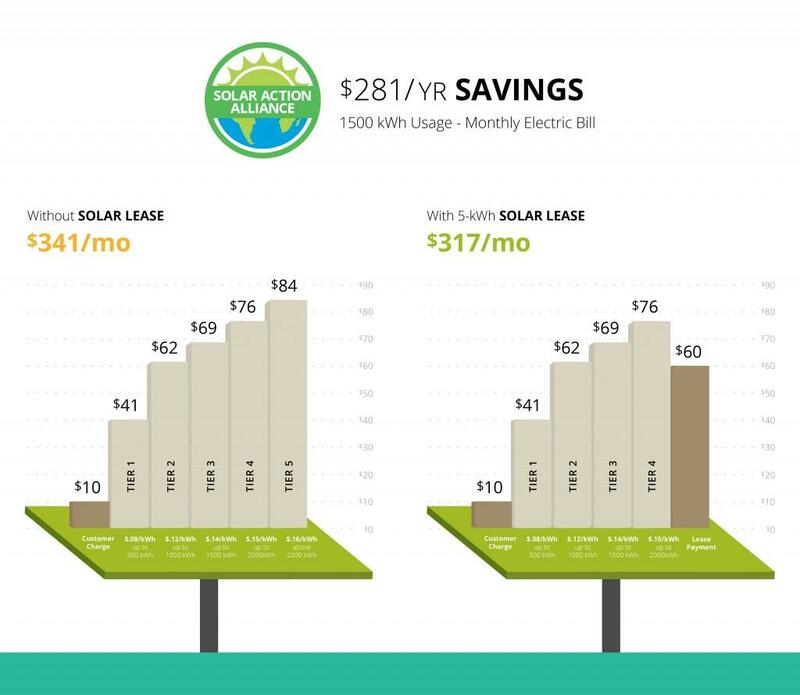 The solution is simple: you can lease your solar panel and still save lots of money. Before you agree to any solar panel loan in Austin, it is important for you to understand how the numbers work. You’ll spend around $20,000 to install a 5-kW solar system in Austin. You’ll get rebates of $1000 per kilowatt from Austin Energy meaning your 5-kW solar system will fetch you $5,500 back as soon as possible and cutting your first year cost to a mere $14,500. The payment you’ll make for a $14,500 loan with 6.5 interests over 2 decades will be slightly higher than $108 per month. Nonetheless, you will save $71 per month on electricity. In effect, you’ll be paying $37 per month for the opportunity of owning those panels for just one day. Here is where it gets really interesting again: you will get a 30% tax credit on the $14,500 cost of your solar system from the feds. Here is the secret: make sure you pay the loan down by that amount and if you don’t owe $4,350 in taxes this year, you can take the credit over two years. With a moderate estimation of 3.5% per year for the imminent increase of electricity bills, your annual profit on your solar system will start piling up in year 12 and every year after for the 25-year life of your solar system. Your entire profit in 25 years will be well over $18,000. Your ROI will be 10.73% which is far better than investing in an S&P 500 index fund. What about the value of your property? It will rise by more than $17,000 (your anticipated annual electricity savings for over 20 years) and you’re not required to pay taxes on any of it. Going solar means going green. The electricity produced through fossil fuel you’re not paying to get from Austin Energy by going solar is similar to planting 113 trees year and for every other year for the subsequent 25 years or more. Please note: these numbers are just estimates. Each home is distinct and the amount of money you’ll be saving by going solar depends on the uniqueness of your home. You’d probably be moving to a new city or town in the next few years or perhaps you’re not interested in solar loans and debts. Leases are a great way to enjoy solar without bothering about loans and debts. With solar leases, you don’t have to worry about tax credits and rebates while you can save thousands on your electricity bill over the duration of the lease. Here is how it works – when you sign a deal with a solar installer in Austin, you may get the possibility of putting your solar panels out on a lease. 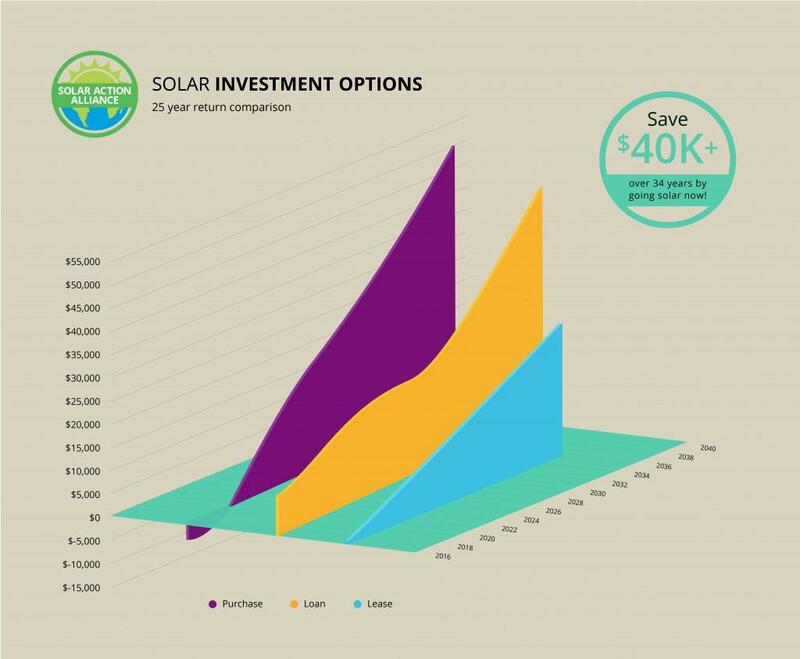 It’s a unique way to invest $0 down and save some money with solar as soon as you start. All you’ll be required to do is put down your signature on a lease agreement; make the required payment every month for the panels mounted on your rooftop while your electricity bill will be cut down by more than the cost of the lease. Also, if you get your John Hancock on a long-term deal with a low monthly payment, it will be a great deal! For instance, a lease of 25 years for a 5-kW solar system that requires a monthly payment that starts with $60 ($720/year) you’ll be saving $831 on your electricity bill this year which is a net saving of $111 just for agreeing to a solar deal. And as the price of electricity soars, you’ll be saving more money every year because your cost will remain low and by the end of the 25-year lease you’ll save up to $7800 on a $0 investment. Austin Energy Tired Rates – Your Chance for Big Savings! Fact: electricity from Austin Energy often starts at “average” and goes up to “ridiculous” depending on how much you consume. Austin’s tired rates are structured to penalize the highest home energy consumers by charging much more for usage above a specific amount. But the good news is your solar system will feed energy back to the grid and reduce your bill placing you among the lower tier of energy users. The higher Austin Energy charges, the more you’ll be saving. Each tier indicates 500 kilowatt-hours (kWh) of monthly usage. Tier 1 is a cheap tier. Electricity in this tier goes for about 8 cents/kWh. But once you’re in Tier 2, the cost increases to 12 cents/kWh. While the other Tiers such as 3, 4 and 5 pays 14, 15, and 16 pays 16 cents/kWh, accordingly. In Austin, an average home consumes about 1,500 kWh per month falling within the limits of Tier 4 pricing. 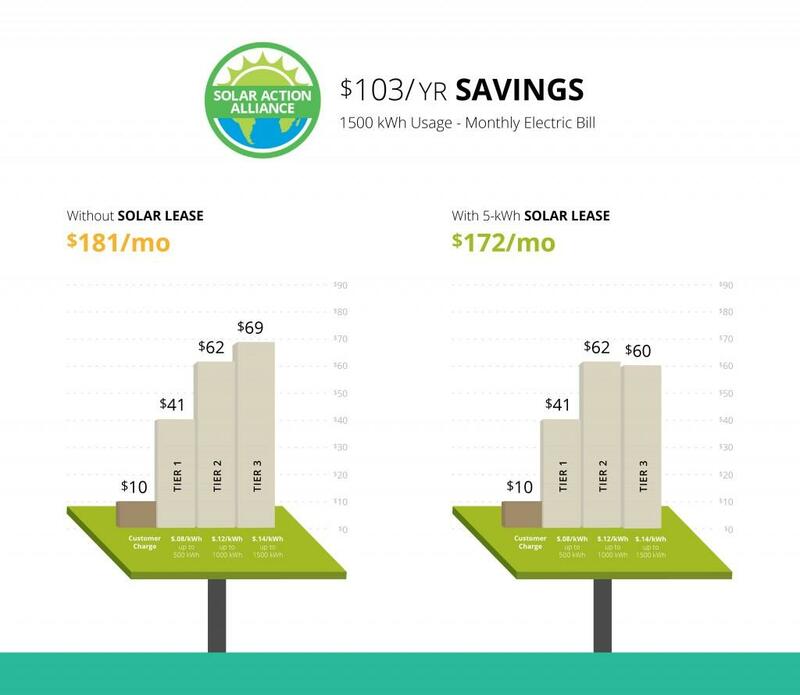 See the chart below for a clear indication of how solar saves money for an average homeowner in Austin with a leased 5kW system. As the chart indicates, the lease cost is just a bit lower than the cost of the electricity generated by the system. That implies that you can get solar panels mounted on your house for $0 down while saving money on your electric bill every month. But what happens if you consume more electricity? Some bigger homes require more electricity for their washing machine, computers, air conditioning, TVs, heat (during the winter) and any other appliances powered by electricity. Trust Austin Energy, if you live in such homes, they’ll charge you more for such high-tier consumption. This means the same 5-kW solar system will save you more money on a bigger house, while the payments remain the same. As you can see on the chart, the 5 tier electricity is really expensive, but the solar system cuts down about 520 kWh per month, which you would have paid utilities to get. This cuts down you lease payment giving you some extra cash which you’d probably spend on a night out with your family probably in one of those Chinese cuisines. Austin Energy is a bit of an irregular in Texas. It offers an awesome rebate of $1,100/kW for your solar panels! For instance, for a 5-kW solar system, you’ll get a sweet $5,500 as rebates. That’s way beyond the 25% off the cost of a new solar system. Awesome I’d say! The state of Texas does not include solar installation in property tax. That’s really awesome since the value of your home will rise by several thousands of dollars when you mount solar panels on your property. Also, if you cut your electricity bill by around $1000 per year, by estimate you’d increase the value if your home by $20,000 in two decades without a tax on that value. As more homeowners in Austin show interest in solar installations, several banks and credit unions are offering loans to assist Austinites. Loans can be an awesome way to enjoy the benefits of solar, but make sure the interest is right before you sign to any loan deal. What you really need to understand about loans for your entire solar system is that the initial payment may be higher than the electricity savings for the first few years. Although utilities companies increase their rates by about 3.5% per year, your loan payment will remain the same, which means you’ve got a reliable cover against cost increase. For instance, if you sign a deal to complete the payment of your solar system within a 20-year period at 6.5%, you’ll have to pay beyond your present electricity bill for more than 9 years. However, you’ll be saving about $7,200 over the 25-year life of your solar system. But then again, if you utilize your huge federal tax credit to pay for the loan down early at the end of the first year, you’ll end up out ahead of the lease and enjoy lots of benefits compared to the cash buying preference. With that, you’ll still pay a bit higher than your present energy bill for eight years and afterwards, your profits will start piling up. More than $18,000 all yours! But if you can sign a deal with a lower interest rate, you can get a better outcome. Any deal below 4% will get you close to making similar profits as homeowners who buy the system outright, all with a $0 down. See the chart below for a better view of how the various payment choice measure up visually against each other.